As of now, the fate of 17,000 trees in Delhi, which were given their death sentence to make way for residential colonies in the national capital, has received an extension till July 4, on Delhi High Court order. "We could understand if it was a road-widening work which is inevitable. You want to cut thousands of trees for housing. Can Delhi afford this?" the Court asked government-run National Buildings Construction Corporation (NBCC), during a hearing on June 25. The question is important, especially given Delhi’s greening initiative over the years. The government has not prepared a Forest Policy, which, in other states, acts as the blueprint for afforestation activities. 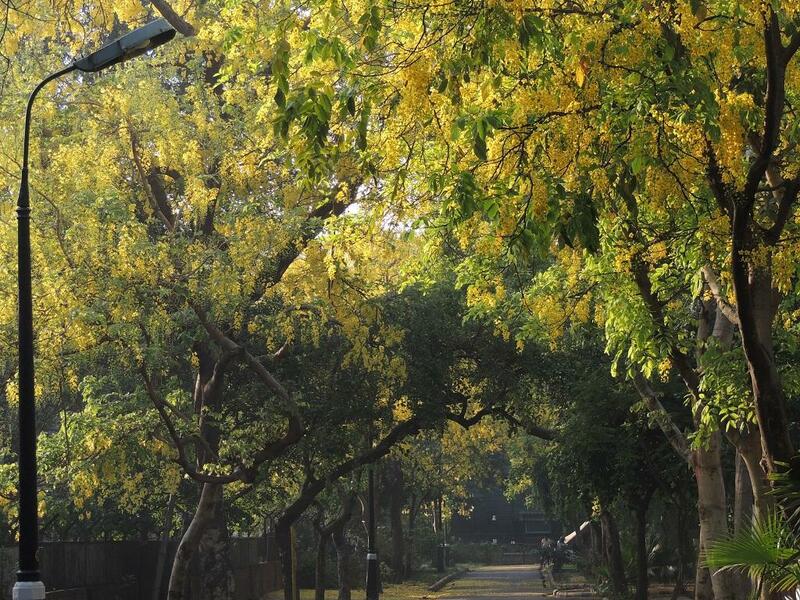 In its place, Delhi has a Greening Delhi Action Plan (GDAP) that came to effect in 1997-98. But the government has not prepared the action plan since 2007-08, according to the CAG report. “The main components of GDAP include strategy to improve forest cover, annual plantation by major civic and infrastructure development agencies, publicity and extension activities, and reclamation of mining areas,” says the CAG report. The government has failed to match its own tree planting targets. According to the report, between 2014 and 2017, the government planted 28,12,000 trees against the target of 36, 57,000, leaving a shortfall of 845,000 trees. In fact, the forest department failed to achieve targets despite lowering them. It reduced the target from 575,000 trees in 2014-15 to 433,000 in 2015-16. The department was able to plant only 354,000 trees. It then further lowered the targets to 375,000 in 2016-17 and failed to achieve them again and planted 368,000 trees. Responding to criticism for justifying the tree felling, Union Minister of State for Housing and Urban Development, Hardeep Singh Puri said, "Till the time I am a minister no tree will be cut and for every tree that is cut we will plant 10 trees. Green cover will go up by three times after redevelopment of seven colonies in South Delhi. Young activists are too fast to blame." However, data from the CAG report shows a pitiable performance of compensatory plantation in the capital. In 2017, permission for felling 4,624 trees was given, with an obligation to plant 23,120 trees as a compensatory measure. The government, however, only planted 2,550 trees, amounting to a little over half the number of trees fell. The Tree Authority of Delhi, the body that gave permission for felling of around 17,000 trees in South Delhi, has met only once since July 2013. The body, set up under the Delhi Preservation of Trees Act, 1994 (DPTA) for preservation and monitoring of trees in Delhi as well as granting permission for pruning and felling of trees, has held only one meeting since July 2013, according to the 2018 report of Comptroller and Auditor General of India (CAG) on social, general and economic sector of the Government of National Capital Territory of Delhi till March 31, 2017. The DPTA mandates that the authority should meet once every three months. The report found massive disparities in the afforestation data provided by the Delhi Forest Department and other greening agencies, and inefficiency on the part of the government in undertaking afforestation activities. “Against mandated 12 meetings, only one meeting was held during 2014-17, period covered in audit. Absence of regular meetings indicates lack of seriousness in its approach towards preservation of trees and afforestation,” the CAG report says. In the absence of these meetings, the status of Delhi’s forest cover shows a tell tale deficit. Since 2009, Delhi’s forest area and tree cover has been static at around 20 per cent of its geographical area. Under the National Forest Policy, 1988, every state should have at least a combined forest area and tree cover of 33 per cent.